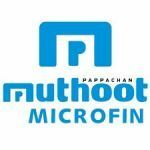 Muthoot Microfin Limited, a part of the Muthoot Pappachan Group is one of the leading microfinance institutions in India which is mainly engaged in providing microloans to women customers, especially in the rural areas. They have 1.2 million active borrowers, 467 branches across 168 districts in 16 states and union territories in India. In terms of gross loan portfolio, they are the fifth largest Non-Banking Financial Company-Micro – Finance Institution in India (as per CRISIL Report). They focus on the underserved rural markets and their branches are mainly located in those places where their customers can reach them relatively easily. Group loans for income generating purposes which include dairy loans and individual loans for a sewing machine, etc. Loans for the betterment of life including emergency loans, mobile phones loans and loans for a solar lantern, solar fan as well as education loans. The company has been awarded and certified several times in recognition of their efforts in trying to integrate social values with the conduct of their business. One such example of an award is “Golden Peacock Award for Business Excellence” by the Institute of Directors. Now, this micro-financing company is coming up with an IPO. In this detailed review, we will talk about the different aspects related to this IPO including the financial health of the company, potential strengths as well as challenges, IPO events etc. By the end of this review, hopefully, you will be able to figure out whether to invest in this IPO or not. Currently, there are 10 Directors on the Board of Muthoot Microfin Limited. Thomas Muthoot is the Managing Director, Thomas John Muthoot, Thomas George Muthoot, Thomas Muthoot John and Kenneth Dan Vander Weele are the Non – Executive Directors, Alok Prasad, T. S. Vijayan, Amit Vikram Talgeri, Bhama Krishnamurthy and Pushpy B. Muricken are the Independent Directors of the company. Thomas Muthoot holds a Bachelor’s Degree in Law from the University of Kerala and has an experience of more than 29 years in financial services. Thomas John Muthoot has a Bachelor’s Degree in Commerce from the Kerala University and attended the Harvard Business School for the Owner / President Management Programme. He possesses an experience in the financial services field for more than 31 years. Muthoot Microfin IPO will open on (undisclosed) and close for subscription on (undisclosed). The IPO size will be of (undisclosed) Equity shares and the face value of each share will be ₹(undisclosed). The offer consists of a fresh issue of up to (undisclosed) lakh equity shares aggregating up to ₹5000 million and an offer for sale of up to 16,310,07 equity shares by selling shareholders. Up to 4,060,429 equity shares, aggregating up to ₹(undisclosed) million are being offered by Thomas John Muthoot. Up to 4,078,996 equity shares, aggregating up to ₹(undisclosed) million are being offered by Thomas Muthoot. the rest 1,858,112 shares, aggregating up to ₹(undisclosed) million by Creation Investments India LLC. The price band range has been set at ₹(undisclosed) – ₹(undisclosed) per share. The offer price is (undisclosed) times the face value of each equity share. The IPO size is expected to be up to ₹1000 Crore implying this IPO to be one of the largest in the year 2018. Pursuant to a resolution passed at the meeting held on June 27, 2018, the offer has been authorised by the Board of Directors and pursuant to the special resolution of the shareholders at the EGM held on July 4, 2018, the offer has been approved by them. All the selling shareholders of this IPO approved the offer for sale in their consent letters dated July 26, 2018. The total revenues of the company have been consistently rising over the last three years. The rise to ₹4,594.16 million in fiscal 2018 from ₹2,438.45 million in fiscal 2017 is quite significant mainly due to an increase in the number of the active borrowers. Revenue from income increased by 85.02% during this period. The return on net worth numbers of the company for the years ended March 31, 2016, March 31, 2017, and March 2018 are 13.6%, 19.6% and 12.36%, respectively. The proceeds from the offer for sale of up to 16.31 lakh equity shares will be given to the selling shareholders. Any proceeds from the offer for sale will not be received by the company for its operations. For strengthening the capital base of the company in order to meet future capital requirements of the company. Other than the above-mentioned objectives, the company will also benefit in terms of enhanced corporate image, brand name and increased visibility through Muthoot Microfin IPO. Muthoot Microfin filed the Draft Red Herring Prospectus (DRHP) with the Securities and Exchange Board of India (SEBI) on July 27, 2018, for the 100% book built IPO. The offer will open on (undisclosed) and close on (undisclosed). Now let us examine various strengths and risks related to the business of Muthoot Microfin before deciding whether to invest in the IPO or not. One of their biggest strengths is their widespread distribution network. They are one of the largest NBFCs in terms of gross loan portfolio which amounted to ₹29,202.97 million, while their gross loan portfolio in South India was ₹24,856.50 million as of March 31, 2018. Their distribution network is created in a way to tap maximum potential of rural markets. Also, their strength is their brand name and synergies with the Muthoot Pappachan Group, which is one of the biggest business conglomerates in South India. There are considerable synergies between Muthoot Microfin and other financial services businesses of the Muthoot Pappachan Group. The company plans and implements effective risk management policies in order to mitigate credit risk, operational risk and financial risk. Muthoot Microfin has also shown a good financial performance over the last few years. The return on equity numbers for the fiscal years 2016, 2017 and 2018 are 25.28%, 28.69% and 18.91% respectively. Their extremely experienced and professional management team along with their skilled employees are an added advantage for the company. One of the biggest risks to the company is the risk of increased levels of NPAs (Non-Performing Assets) which arises due to the category of customers they cater to. The customers belong to the groups with an annual household income of ₹160,000 or less in urban areas and ₹100,000 or less in rural areas. They have income sources, low savings and poor credit histories. The business is exposed to interest rate risk, and volatility in interest rates may affect the financial performance of the company. Any changes in laws and regulations that are related to the financial services industry may have a negative effect on the operations of the company. The operations of the company are concentrated mainly in the southern parts of India and if there are any adverse developments in the area, the profitability of the company may get affected. They operate through 467 branches in India, out of which 138 are located in Tamil Nadu and Puducherry, 104 are in Kerala and 88 in Karnataka. Any disruption in the funding sources of the company or increase in costs of the funding may affect the profits of the company. Also, an increase in the number of NPAs or their provisions may negatively affect the performance of the company. Any non-compliance with the RBI policies and downgrading of their credit ratings may also pose risks for the company. They also face strong competition from banks and other financial institutions. 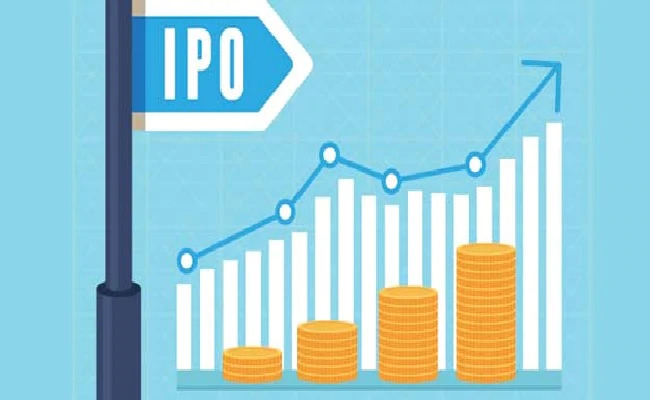 After analysing various aspects of the business of the company, it may be said that investors may choose to subscribe to the Muthoot Microfin IPO. Edelweiss Financial Services Limited, Motilal Oswal Investment Advisors Limited, Credit Suisse Securities (India) Private and SMC Capitals are acting as Book Running Lead Manager to the issue. Karvy Computershare Private is acting as the Registrar for the Muthoot Microfin IPO.